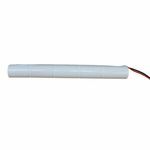 For a comprehensive selection of high quality emergency lighting packs, including both end to end and side by side nickel cadmium varieties, come to County Battery. Designed to fit all popular brands of emergency light fittings, each pack comes with a 1-year warranty and is manufactured to exacting standards. All our emergency lighting battery packs must pass our rigorous QA testing procedures before they are approved for sale so you can be sure that your lighting will always be ready for action whenever it may be needed. 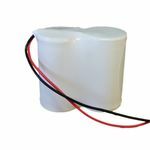 We understand that you need battery packs that you can rely 100% and therefore only carry products that we have tried and tested ourselves, and know to be fit for purpose. Although we only sell high quality battery packs for emergency lighting, we are one of the most competitive battery wholesalers in the UK. We strive to keep our prices as low as possible and are able to offer our clients superb value for money thanks to the excellent deals we have negotiated with our suppliers. If you are looking for a battery pack that will not let you down and is reasonably priced, you have come to the right place. If you need to ensure there is adequate light in a residential or commercial property in the event of power failure, we have the products to help you achieve your aim easily, without having to spend a fortune in the process. We offer a reliable delivery service across the United Kingdom, and can also send our products overseas on request. Wherever you are located and whatever type of batteries you need, you can order them from our online website right now. Having opened online 18 years ago, we have a very streamlined and efficient ordering process that makes buying what you need a breeze. Furthermore, once you have placed your order, you can rest assured it will be accurately picked and promptly dispatched to the correct address. If you need your emergency lighting battery pack in a hurry, just let us know when you are placing your order and we will arrange for it to be sent via our next-day delivery service. This option can be selected when you proceed to our secure online payment facility. 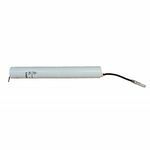 The universal nature of the battery packs we supply means that each one can be used with almost any make and model of emergency light fitting. However, if you need any help in choosing the best pack for a particular lighting unit, please do not hesitate to call on 01623 757377 and we will be more than happy to assist you with your purchase. We offer our customers a level of service that larger suppliers simply cannot match. This fact, together with our competitive prices, has helped to make us the number one battery supplier in the country.